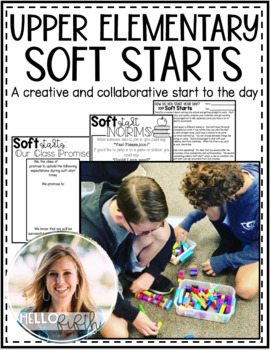 Soft starts are a gentle invitation into the school day and help students have purposeful time to communicate and collaborate with their classmates. 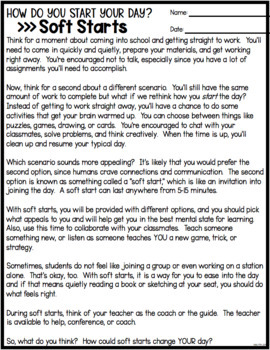 A soft start can be anywhere from five to fifteen minutes long and will help set a positive tone for the entire school day. 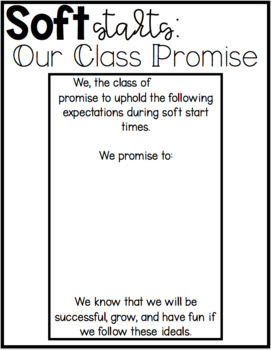 Before launching soft starts, dialogue about expectations, norms, and guidelines are so important. This resource contains everything you need to teach soft starts, guide discussions throughout the year, and encourage writing and reflection.